My Message to Polamalu Fans | "IT'S A STEELERS WORLD"! What is wrong with some of you..seriously? I’m getting a lot of Steelers fans expressing their desire to have Steelers safety, Troy Polamalu stay with the team..which is fine. But then I also have quite a few saying “he better stay” or “he’s stupid to walk away” along with how many years he has left to play..which is moronic. Look, none of us know exactly what is going through #43’s mind or how his body is holding up..”NONE OF US”! So the thought or belief that any of you know how he feels better than he does could not be further from reality. In his 13 years with the team Polamalu has had over 700 tackles, accumulated 550+ solo and has thrown his own body around the field like a ragdoll for the Pittsburgh Steelers and his fans. So what in our right minds think that we have the right to have him endure more years of that? Not to mention he has a family to think about. No one wants to see Troy retire including myself, but being a former football player and United States Marine I know when my body says it’s time to quit. So if #43 decides that it is time to hang up his cleats..than so be it. Because in the end that decision falls solely on Troy Polamalu..not me..not you or anybody else. If he stays..”GREAT FOR US”! if he leaves..”GREAT FOR HIM”! Because I will remember him and his style of play either way it goes. HI TROY .I AM A BIG FAN OF THE STELLERS I WOULD LIKE TO COME AND SEES A GAMES. THANK YOU NANCY FOWLER. This isn’t Troy. This is the author, Brian Christopher Jenkins. But thank you for your reply. I think we all would be devastated, Tiny. But you are a great fan to understand that if it’s his time to retire than it’s his time. Thank you for your response. Troy i have watched you play from the very start with the steelers. I love the way you play and your style of hard nose football. As a huge fan of yours part of me wants you to stay, Other part says retire and enjoy your life. What ever you decide is ok with me i would rather see you walk off the field and retire then be carried off.As a former marine the saying is correct when your body tells you that’s it then that’s it. Be safe i don’t want you hurt. Thank you for your reply Dale, but this is not Troy. This is the writer of the article. I will be sure to pass both of your concerns on to Troy. Exactly! Thank you for the response Fran. Whatever he decides its up to him he is the most athletic safety to ever play the game. Agreed, Tim. Thanks for your response. My point exactly, Joseph. I apologize for the name mishap. And I agree with you, Troy will definitely be missed if he does happen to retire. I’m sure if he does the Steelers will definitely keep him around for other mentoring purposes. Thank you for your response. 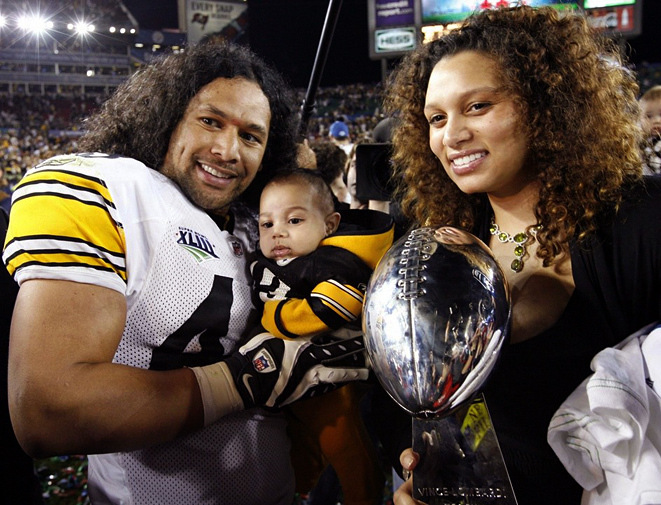 Pingback: ED BOUCHETTE: Steelers Planning to Play 2015 Without Polamalu | "IT'S A STEELERS WORLD"! You left out the whole part about how it might not really be his choice. Another words, maybe he really wants to play one or two more years, but the Steelers dont want to pay him any longer, knowing how much he put his body through over those 12 years, knowing how many injuries he’s been through (i mean come on we all know there were MANY especially in the past 3 years or so). In all the articles Ive read, it seems like the Steelers WANT him to retire, because they don’t want to look like the bad guys, like they did when they cut Ward, but they dont want to pay him for another year either. So… I dont get the whole thing how lets leave it up to him if he stays or goes? Its not like the articles are saying the Steelers are begging him to come back one more year but he doesnt know if he wants to play or not…..
That is in the article I posted this morning, Lea. Check out that one. All you need to know is posted.